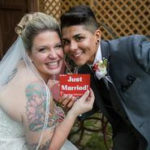 Married in a private elopement, the couple exchanged vows and rings and then posed for some photos with Rev Pam. Rev. Pam planned the most beautiful garden ceremony for my husband and I on 10.4.17. 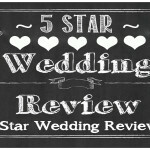 We vote 5-stars! 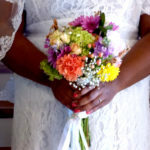 Email praise from a recent bride. Rev Pam is amazing! 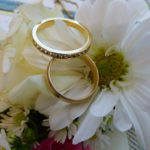 We hoped for a quick and simple ceremony officiated by a sincere, caring person. 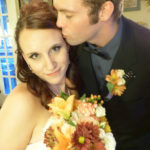 I had a wonderful time yesterday marring a couple who have fast become some of my favorite people. 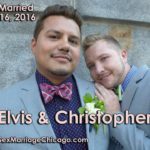 Congratulations to Elvis García and Christopher Saale who I married last night at the McCormick Bridge house Chicago River Museum. Honeymoon A tradition or a Must? The custom of the groom carrying the bride over the threshold is a very old one. As rumor would have it, traditional European weddings were followed by bride kidnappings. 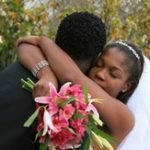 So it was customary for the groom to whisk away with his bride and to hold her close so that no one could kidnap her. Check out this cool profile on Wedfolio that shows over 40 likes and my fans are growing.